Rob Petherick has been a professional photographer for over 20 years, and has extensive experience in delivering high quality, creative work in Corporate, Press & Public Relations, Event and Studio photography. Rob trained in Audio-Visual design at the Surrey Institute of Art and Design and in photography at Westminster City College. After which he was the in-house Photographer at the University of London, and Head Photographer at the National Maritime Museum. 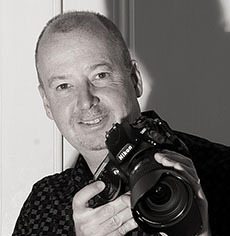 Rob started work as a freelance photographer in 2000 and has been building a portfolio of satisfied clients ever since. He loves to travel, always taking pictures, play tennis and cycle. He is also a long suffering Southampton F.C fan!